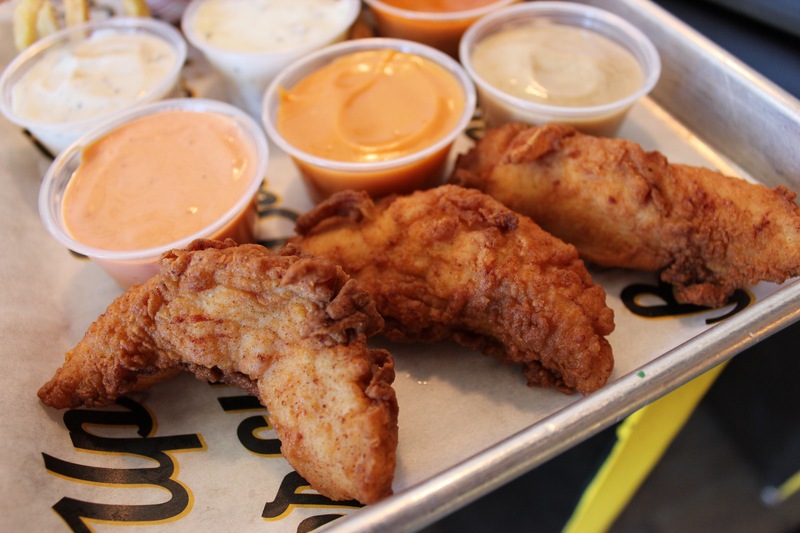 Raise your hand if you are seriously obsessed with Super Chix! A few weeks back I FINALLY made it into Super Chix. Yes, I realize it is all the rage. I KNOW that it is a total favorite for the vast majority of Dallas residents and I get it, I can’t believe I hadn’t been before either. All good things come in time, right? Luckily for me, I no longer have to wear the crown of never having experienced all that Super Chix has to offer because let’s just say I went in HARD. When I first walked in the doors, I was immediately greeted with smiling faces that were eager to answer any questions that I had. Seriously, this is the first time in recent memory that I can honestly say that I received true customer service. It just seemed like everybody working on this particular day truly LOVED their jobs and the passion showed. I asked what some of the absolute must-try items were and was given a reply of, “Everything! No really, every single thing is insanely delicious.” Me being the rather cynical person that I am, I smiled but thought to myself, yeah, sure it is. After all, even at some of my alltime favorite restaurants EVERYTHING is not amazing. Pretty soon, I understood just what this friendly employee meant. 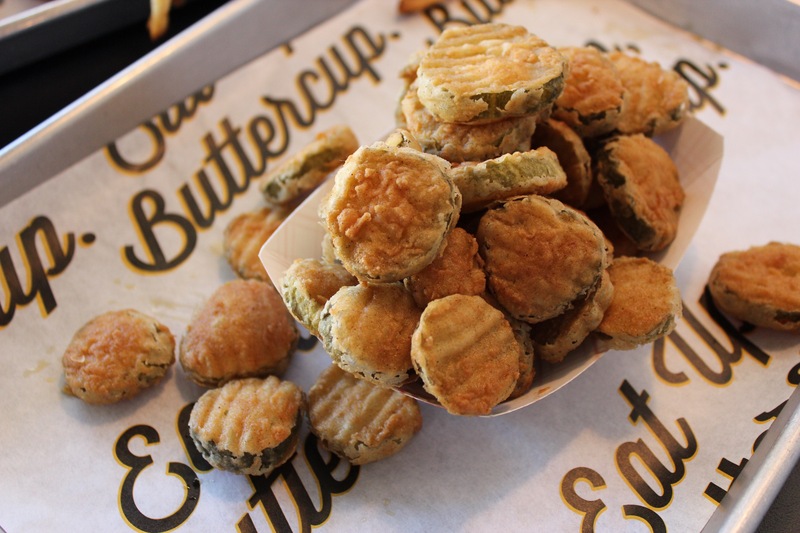 I started off my meal with Super Chix‘ Fried Pickles like any good Texan would. They’re a thing of beauty, aren’t they? Nice and crispy on the outside with that familiar salty and squishy center, these are a can’t miss. Naturally, I had to try Super Chix‘ Chicken Tenders. I mean, after all, they are a CHICKEN spot! The tenders were perfectly cooked. There is a nice seasoning on them that manages to leave your taste buds dancing but they’re mild enough for even the youngest fans to enjoy, too. Clearly, I had to get every single dipping sauce that Super Chix makes to accompany my chicken tenders because I’m a professional. Make way for Cucumber Dill Ranch, Alabama White sauce, Mississippi Come Back Sauce and Nashville Hot Sauce, y’all. Dipping into ALL of them is the only way to go. Next up? 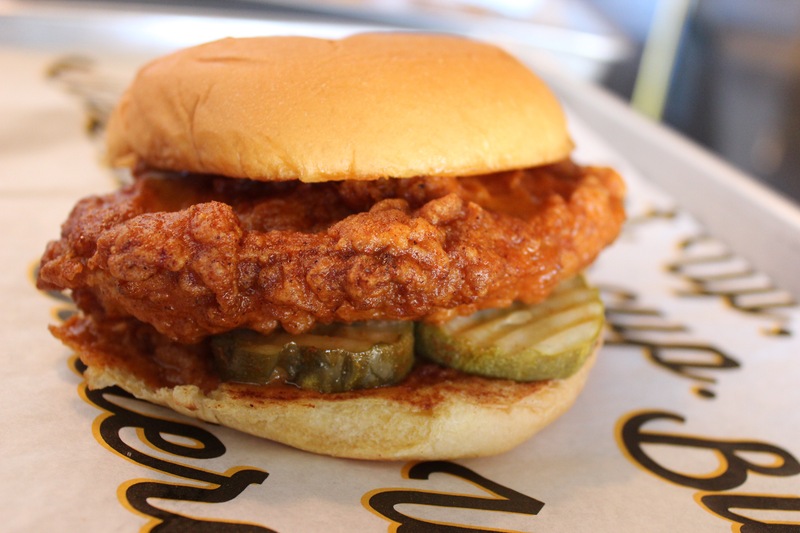 Super Chix‘ Nashville Hot Chicken Sandwich with Kosher Pickles, of course. I mean, if anybody utters the words “Nashville Hot” around me, I practically break down into a panic. MUST. HAVE. SAID. ITEM. IMMEDIATELY. Let me just tell you all…Super Chix makes a DAMN good one, too. Their sandwich has the perfect amount of punch and zing. It’s simple and down right delicious. Let me preface this by saying that I’m one of those people who does not fundamentally believe that a meal is complete without dessert. 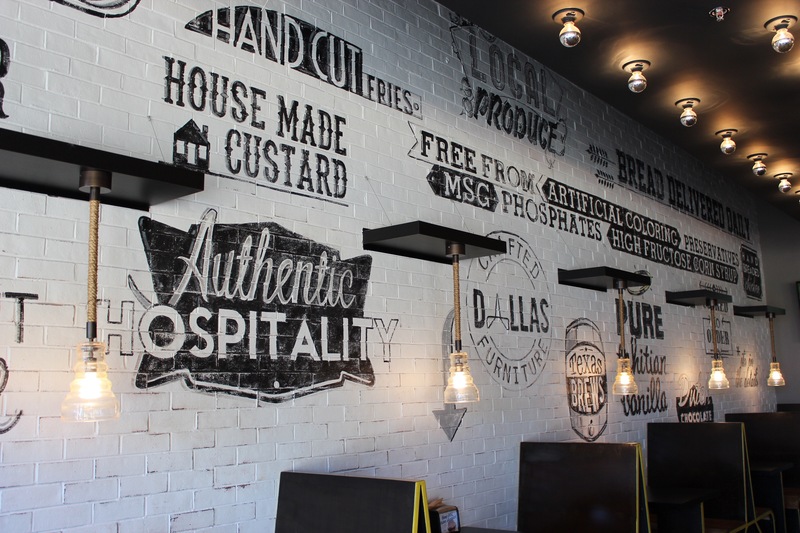 Here at Super Chix‘ it’s a rule that you have to end your meal with their fresh custard. Ok, it’s not an actual rule, but it certainly should be. The custard at Super Chix is other worldly. It’s velvety smooth, sweet enough to be satisfying but not so sweet that you question whether your teeth are going to fall out or not. 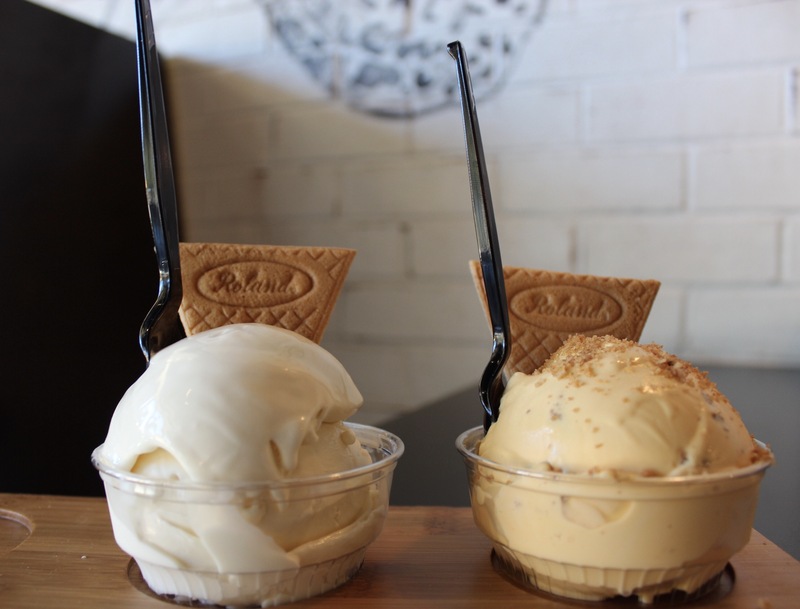 They always have their standard Pure Vanilla and Dutch Chocolate flavors but they also have weekly flavors that rotate. 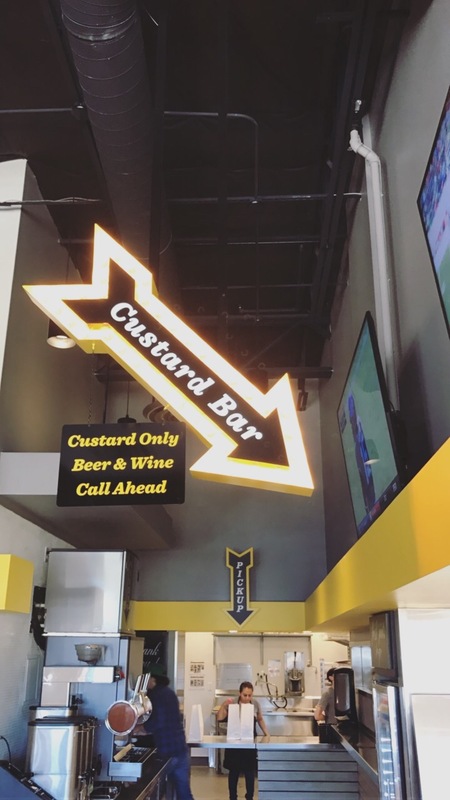 Also, you can do a custard FLIGHT that features all three flavors that they have in-house at the time. I KNOW, RIGHT? Are you about to eat your screen? I wouldn’t judge you at all. All in all, I can tell you all that I’m absolutely sold on Super Chix. It’s a delicious, affordable, fun alternative to fast casual food and best of all? It’s local to the Dallas area! 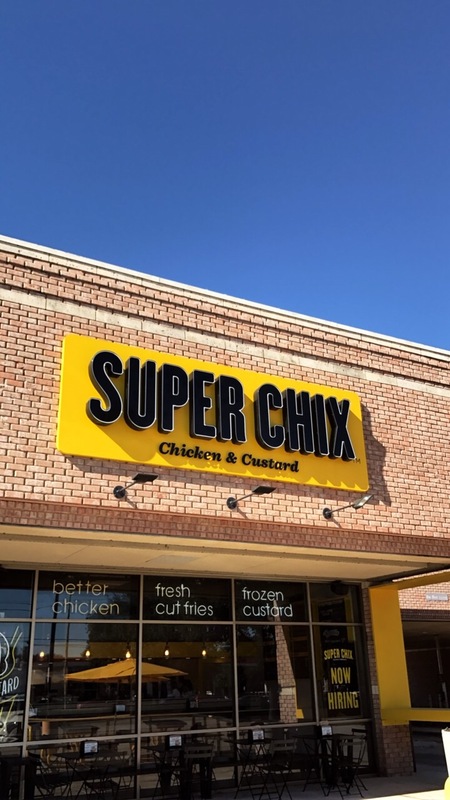 With a location in North Dallas and Richardson, Super Chix needs to be the next stop on your list!